Your website is one of your most valuable business assets. Wouldn't it be nice to know that it's being cared for and protected 24/7? With my website care & support plans you get to focus 100% on running your awesome business and making sales without worrying about keeping your website updated and secure. What’s more, as your business grows and evolves, you can take comfort knowing that your website’s design, content and functionality will be able to keep up with all the exciting changes your business experiences. I’ll handle all the techie stuff while you go out and do the things you do best—the things that drew you to starting a business in the first place. Sit back and relax while I take care of your website. To sign up for a care plan, please complete the form below. Once I receive your message, I’ll send you all the details and documentation you’ll need, including your contract and invoice. 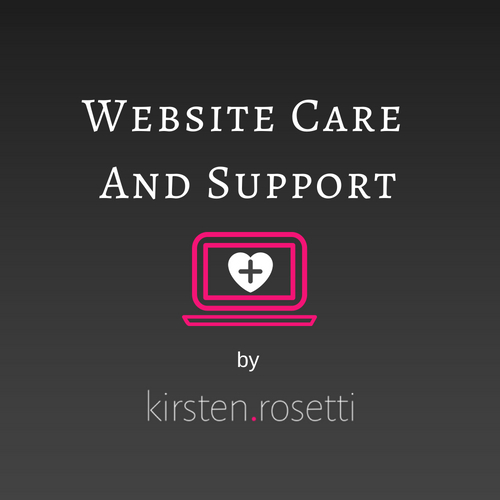 When would you like your Website Care Plan to begin? Not sure where to begin when it comes to website care? Please get in contact with me. I’d be more than happy to help you decide what’s right for you and your business.